From 12th to 18th of August 2018 a "Handisport" (sport for the disabled) team represented France at the Boccia World Championship in Liverpool. 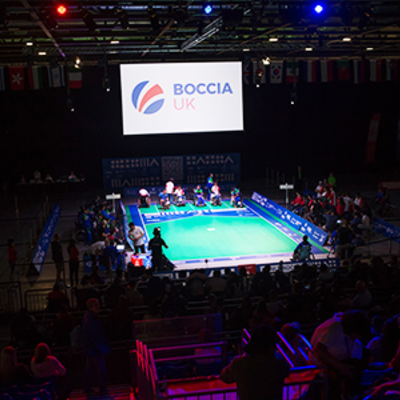 The Boccia is a ball sport quite similar to "petanque" with Greco Roman origins. It is practised by non-disabled as well as disabled people in "Handisport" category. Gerflor was proud to be the Official Flooring Partner of the competition and to offer the best conditions to allow everyone to fully reveal their talents on 14 Taraflex® evolution courts.